Our mission is to publish strong, evocative work that belongs to the collective, vast community of writers. As we move forward we intend to broaden our reach. We hope to include writers of different identities—in terms of race, ethnicity, sexuality, gender, ability, language, religion, class, age, education, and region—so that our journal is a representation of the voices present in today’s literary community. From the six short stories in the first issue, three of them made the top 100 stories of the year list in The Best American Short Stories 1998. These stories were “In Irons” (Ann Beattie), “Voices from the Other Room (Richard Bausch), and “The Air Above the Ground (Robert Olmstead). As a result of these Best American citations, the journal received a flood of submissions for its second issue. The current GA is Mary Pauline Lowry. Boise State MFA faculty members Brady Udall and Emily Ruskovich joined the journal as fiction editors in 2008 and 2017, respectively. In the 2009 issue, Professor Udall put together a moving tribute to his late editor Carol Houck Smith. Over the years, the journal has published emerging writers alongside of established writers. The Idaho Review featured some of the early stories from Jennifer Haigh (2001) and Ben Percy (2004). In 2002, two Boise State MFA students (Bill Pettitt and Wil Miller) championed a manuscript from an unpublished writer in the Idaho Review slush pile. The story, “Bleed Blue in Indonesia” by Adam Desnoyers, appeared in that year's issue and was reprinted in the 2003 edition of Prize Stories: The O. Henry Awards. In that edition, two of the twenty stories reprinted in the O. Henry Awards were from The Idaho Review. Past poetry contributors include: Robert Wrigley, John Kinsella, Debora Greger, Larissa Szporluk, Brendan Galvin, James Harms, David Citino, Kelly Cherry, and Michael Blumenthal. In 2009, the Idaho Review published a special tenth anniversary issue. From its first ten issues, the journal has had ten stories selected for reprint in the following national prize anthologies: The Best American Short Stories, Prize Stories: The O. Henry Award, The Pushcart Prize, New Stories from the South, and Best of the West. The journal has had another nineteen stories short-listed for these same prize anthologies. For a full list of these stories, please see our Awards section. 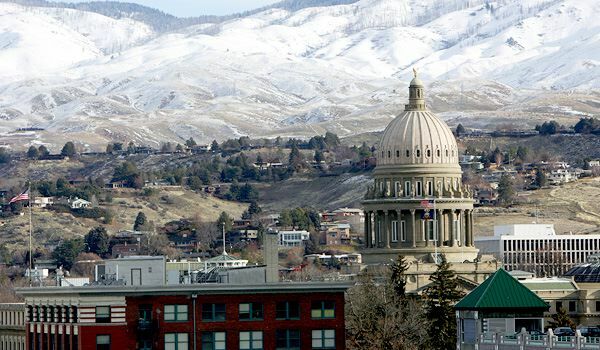 Check out a Boise Weekly article on the Idaho Review.